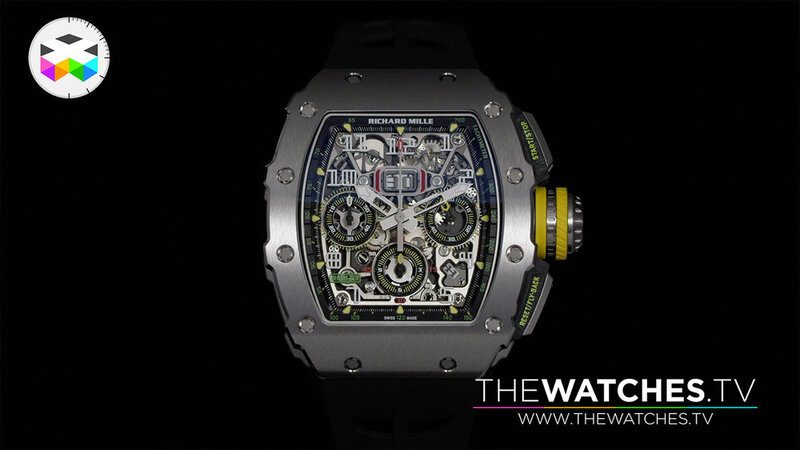 Today's video is a focus on the new Richard Mille RM 11-03 introduced in September and we jumped on the occasion, as the watch featured in this video was the very first one that the new Geneva Richard Mille boutique received and was making a very short touch-and-go. For us, the RM11 is part of this small club of iconic watches, such as the Royal Oak, the Oyster, the Nautilus, the Speedmaster, the Portuguieser (the original design that is) and a few others naturally. 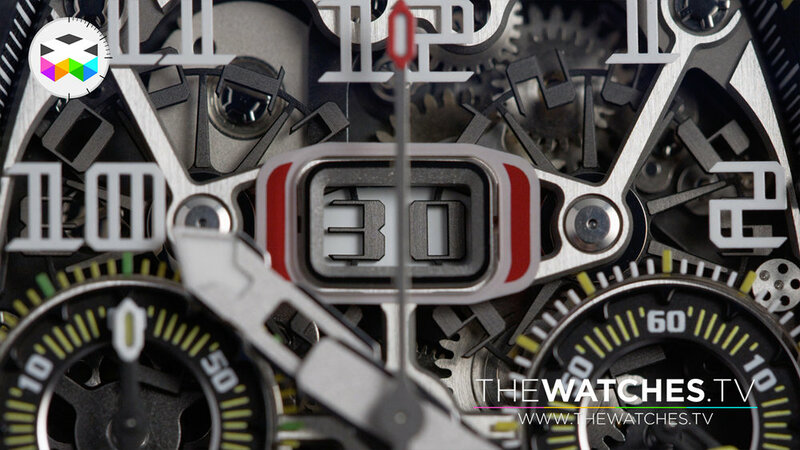 The common denominator of these watches is that they are immediately recognisable, but the RM 11 is the newest member in this prestigious club as it was first introduced in 2007. Being an icon also implies that they are often copied or serve as an inspiration to others and there are naturally and unfortunately many examples of this. But again, being followed means that you are the leader of the pack and some twisted minded people could say that it’s an homage, kind of a simple excuse. So it does takes a bit of courage to touch an icon. Think of the Porsche 911: for many aficionados, the iconic version stops with the 993, especially with the turbo edition, and when Porsche introduced the 996, people cried and shouted out loud that this was the end of the 911. The serious revamp brought with this 996 is probably not the best example of a successful evolution of an iconic design, the first models looked pretty dull and it’s only quite recently that Porsche has gotten that little thing special back into the 911. 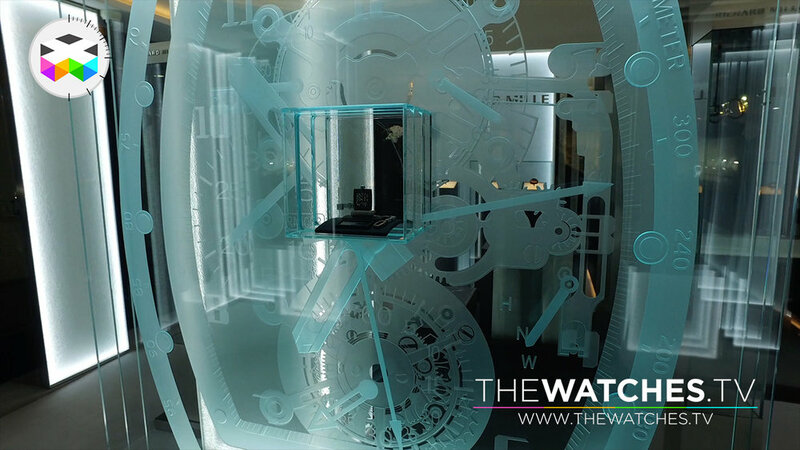 The most noticeable new design feature comes with the case as the edges are no longer linear, but takes design element first seen with the second generation of the RM27 Raphael Nadal ultra-light tourbillon watch, the RM27-01. 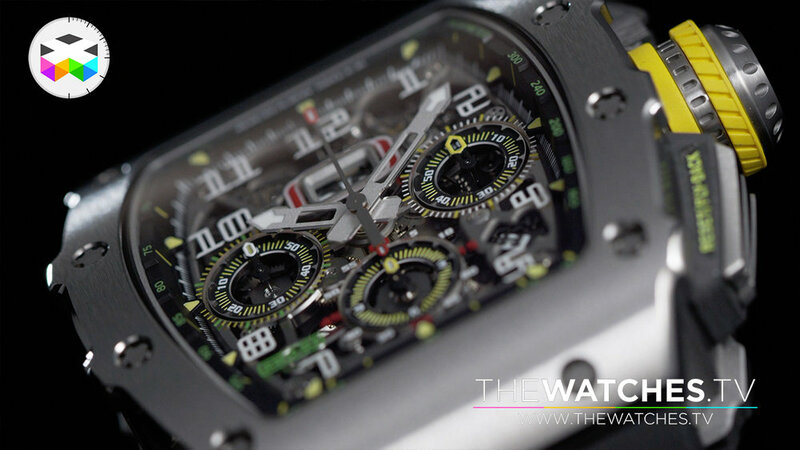 This feature was then seen and made more obvious on the Baby Nadal, the RM35-01 with its NTPT carbon case. This feature is fully part of the new version and makes it ever more so distinctive. It gives it a slightly more sporty and aggressive feel to it, but at the same time I think it also makes it a bit more elegant and refined. 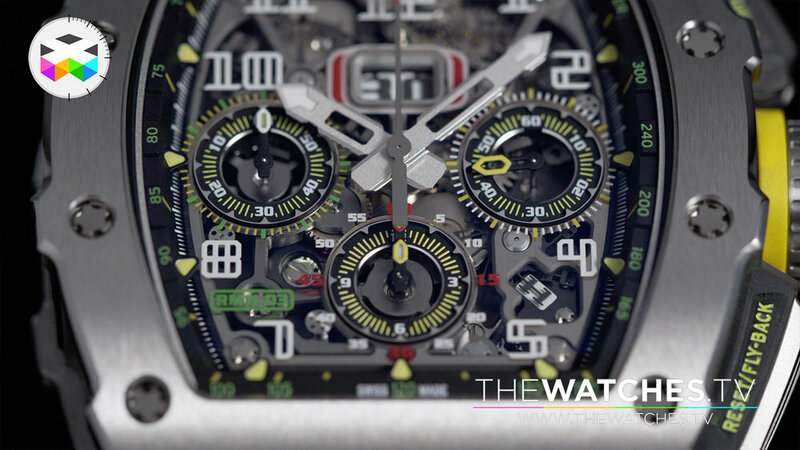 Then as with most Richard Mille watches, you clearly recognize the very technical design dimension of these watches, in particular with this automatic flyback chronograph and its high tech feel to it. The push buttons have also evolved as they are now protected with their NTPT material and the crown looks a bit more like a sport’s car rim, something obviously very dear to the brand with their many involvements in the race car world, their partnership with the F1 team MacLaren being one of the most noticeable one, as well as with a few racing drivers such as with newly retired F1 driver Felipe Massa, who generally wore his RM 11 during races. As with previous models, this new dash 03 uses a lot of titanium components, from base plate to the characteristic adjustable rotor with its two white gold wings to give it the necessary inertia needed to wind up your watch and that you can adapt depending on your wearing habits. 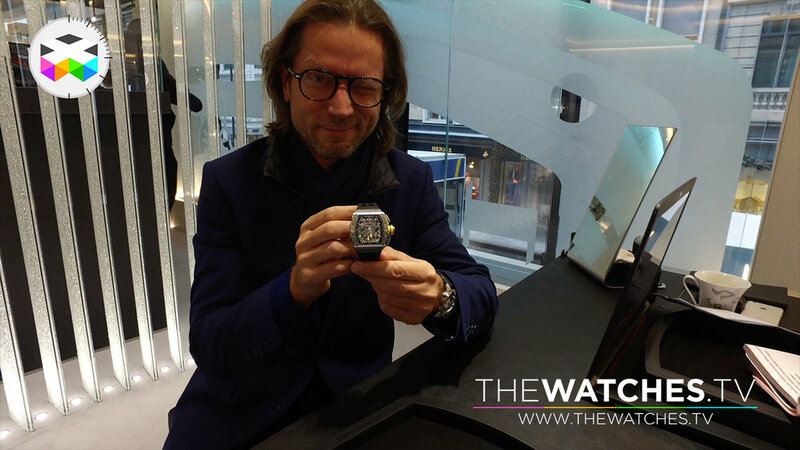 Again, not you, but a watchmaker can do this for you. The border of date indicator has also changed and is a bit less aviation inspired I think, it’s a bit more classic and elegant and there is also a bit more depth within the dial, you feel more the different layers in it. As a sport watch, it naturally comes with a rubber strap with a fancy titanium folding clasp and the power reserve is set at 55 hours for this movement beating at 4 Hz. So I don’t know what you think about it, I personally really like it and I must admit that an RM 11 has always been on my wish list, I think it just looks super cool.